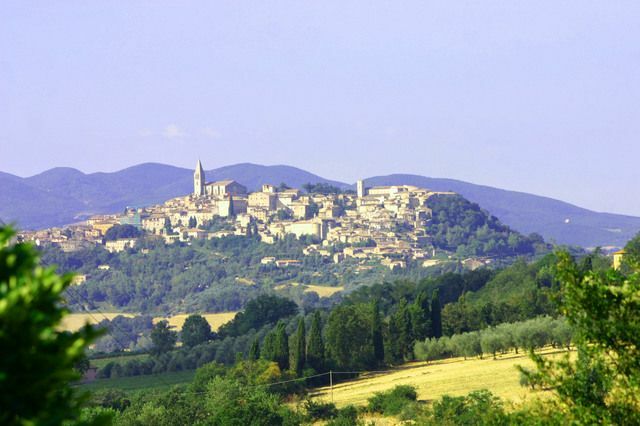 Todi combines all the beauty of the central Italy hill towns, an unspoilt landscape, art and ancient buildings to provide a popular place to visit. 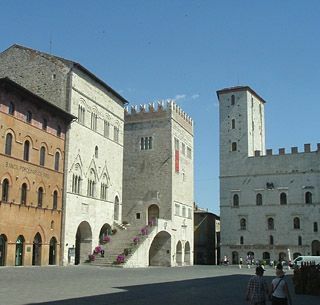 The inner walls of Todi were constructed in the Etruscan and Umbrian times, then the Romans built the middle walls, and the medieval walls reflect the influential position reached by this period. The Umbri peopled the area 3000 years ago and the Etruscans held power for a short period of time. After taking the city in the 2nd century BC, the Romans had temples and Roman baths built in order to honour Jupiter Minerva. Centuries elapsed and in 1213 the city was once again a powerful place. Cavour is an informal eatery where you can enjoy light meals, pizza or traditional soups. Antica Osteria della Valle is a draw for locals. Its specialities are the homemade pasta and farro. Scallette takes diners back to the medieval times with an atmosphere reflecting the Middle Ages and serving good roast meats. Pane e Vino on Via Ciuffelli is a wine bar and restaurant offering wines from all over the country and a lovely open air patio to sit out on or a dining room with a vaulted brick ceiling. Ristorante Umbria serves excellent prosciutto, salumi, risotto and truffles. Bar Pianegiani serves world class ice-cream among which the black cherry or hazelnut are favourites! 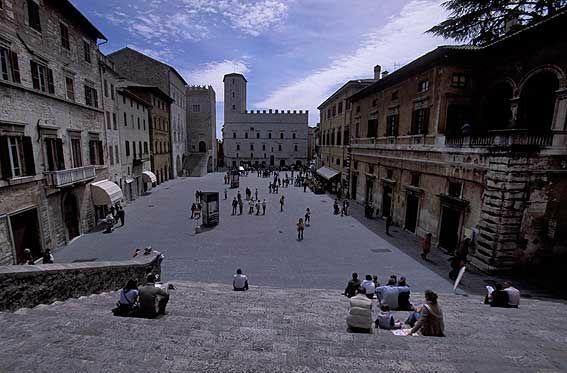 BY BUS: from Perugia (duration: 1 hour, services: every hour). They call at Piazza Jacopone (4) or Piazza Consolazione (the others), to Perugia( services: 5 a day Mon-Sat), to Spoleto (duration: 1 ½ hours). BY CAR: the SS3B-E45 linking Perugia -Terni goes past Todi. Or you can get to Todi if you are on the Milan-Rome-Naples route taking the Orvieto road. BY TRAIN: the train linking Deruta-Perugia calls at Todi (services: 18 a day). The railway station is 3 km away; however the bus C links the city to the train station.